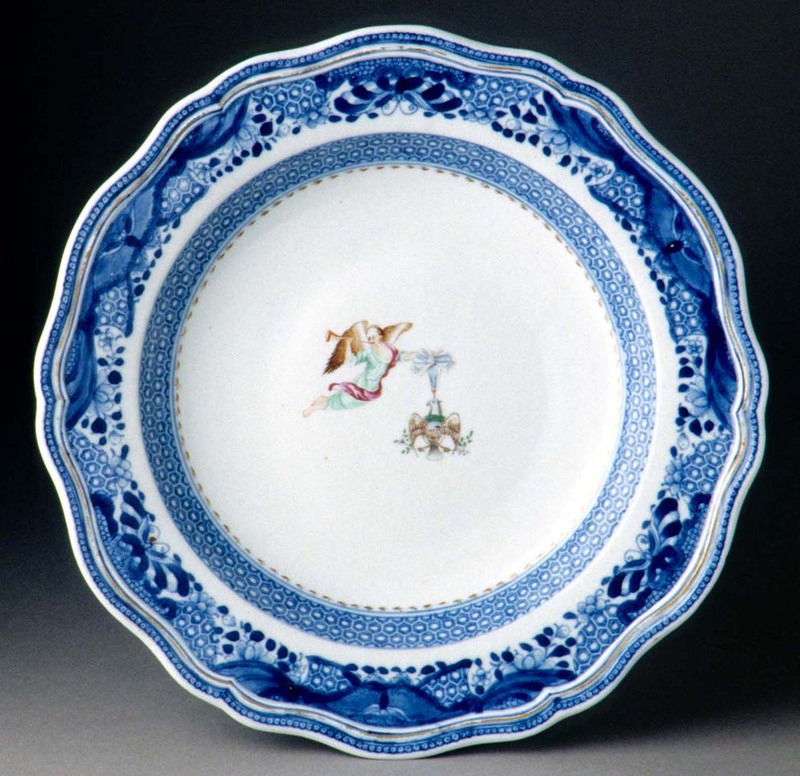 The question of how Americans furnished their homes in the past is not completely answered by looking at the items that were available. 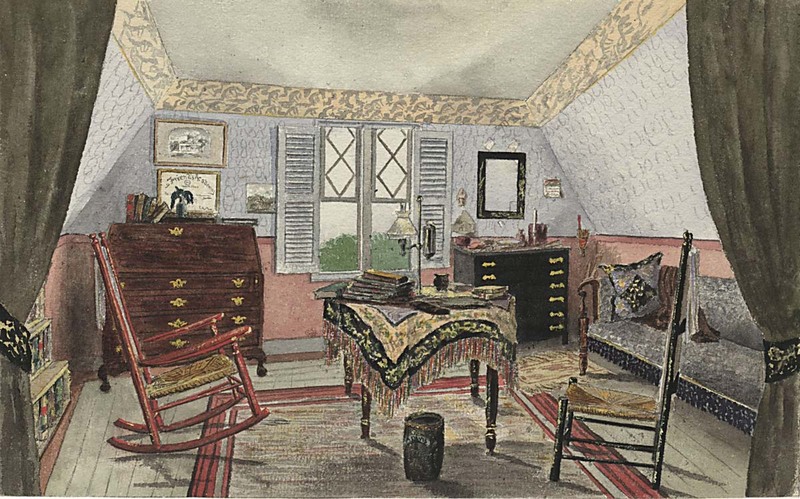 For an accurate picture of the past, it is necessary to use probate inventories, drawings, and photographs to reconstruct actual room interiors. Such records offer a clearer picture of everyday life. 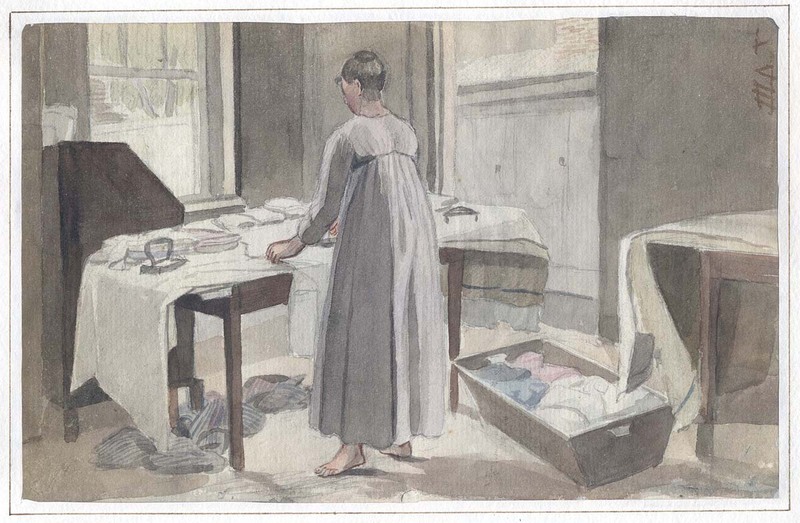 German immigrant John Lewis Krimmel is celebrated as one of America’s earliest genre painters. 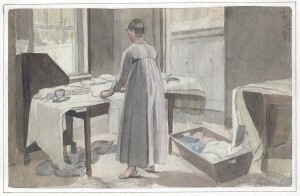 His sketches of room interiors and daily life show how simple objects, like this copper kettle, were used in the home. 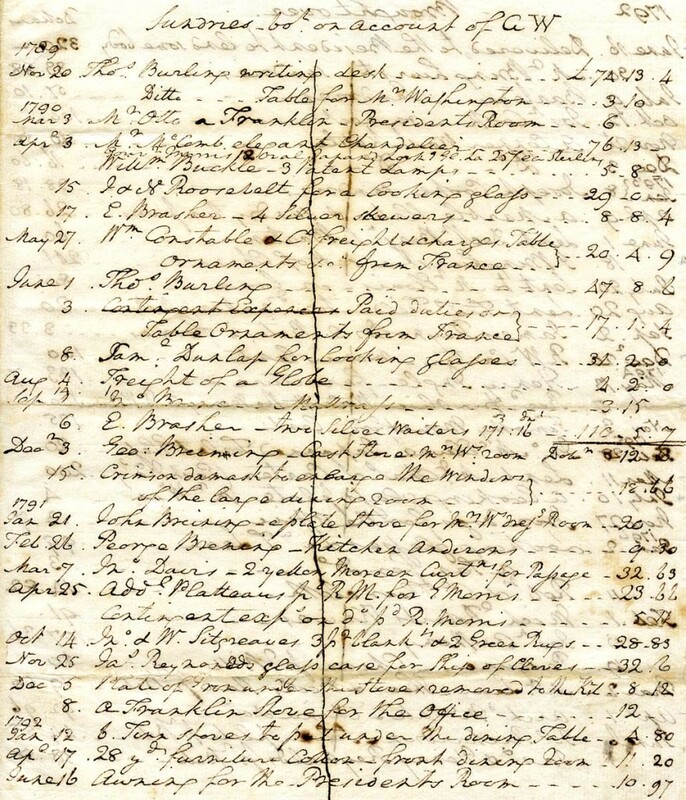 Michael Allison Sr. was one of New York City’s most prominent cabinetmakers in the first half of the 1800s. The 1855 probate inventory [See full list.] 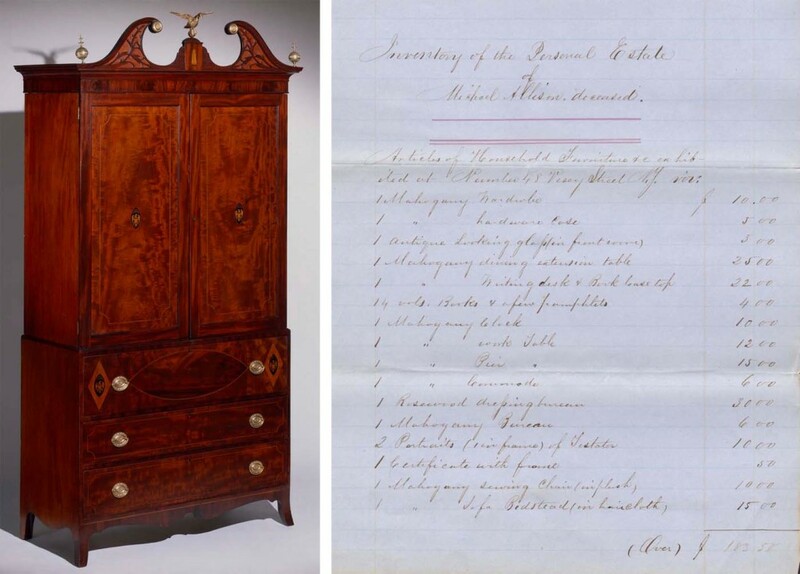 made at the time of his death lists a mahogany wardrobe, probably similar to the one seen here, which was made by him decades earlier. Alexander Jackson Davis, one of the most influential architects of the day, designed the Rotch House in 1845. These watercolors of rooms in the house were created several decades later by Henry Crapo. They show a charming mix of styles. 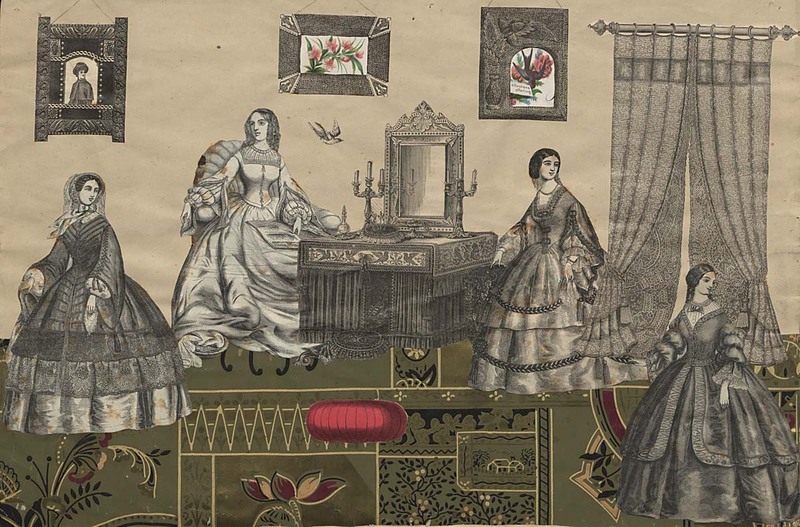 In the late 1800s, many girls made collages of room settings using wallpaper samples and scraps from newspapers and magazines. 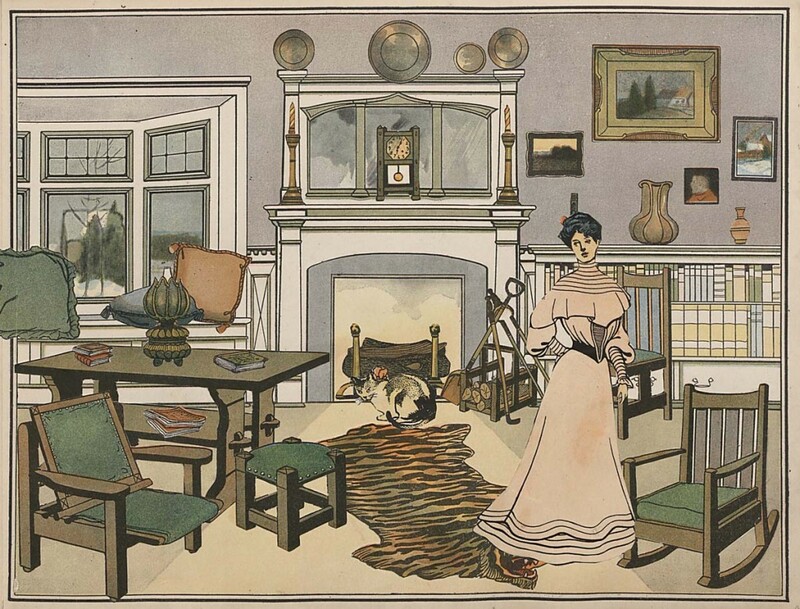 Publishers eventually seized on the idea and printed activity books with plates of rooms and cutout furnishings to teach children how to decorate them. 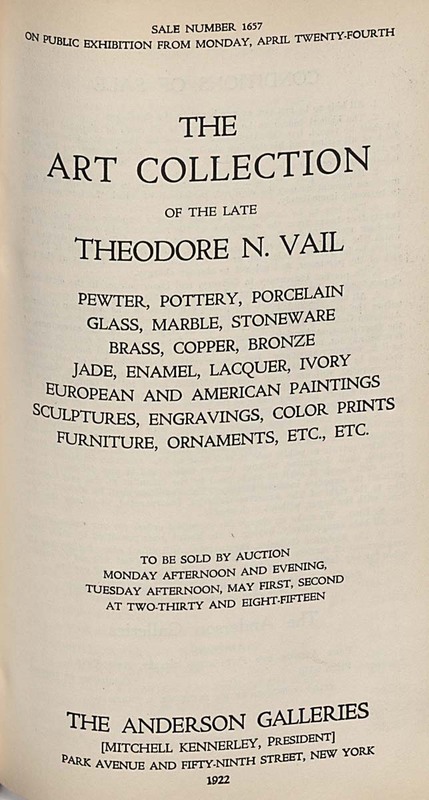 Theodore Vail, an entrepreneur of the robber baron era, photographed every detail of his house and grounds, from stable to attic. 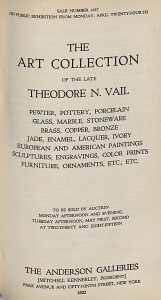 Many of the furnishings shown in the photographs were later part of his 1922 estate sale at Anderson Galleries. 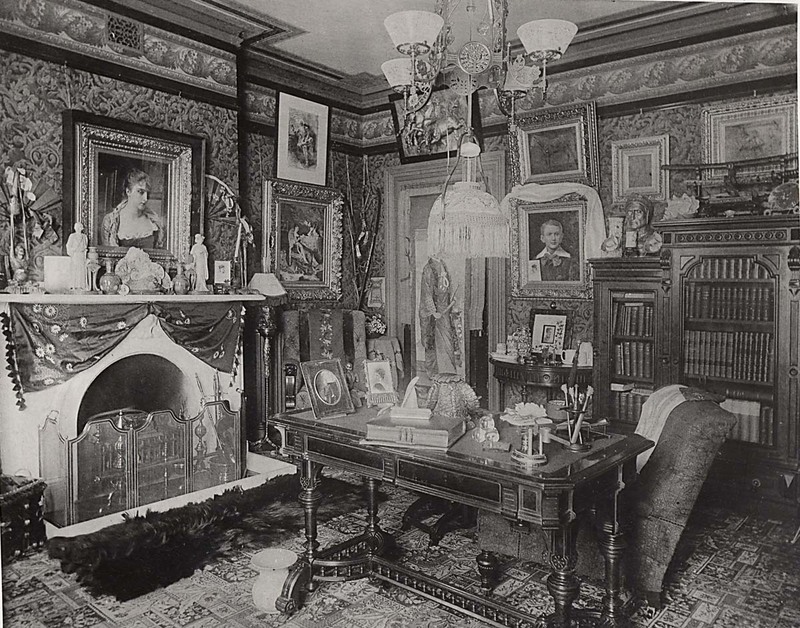 In the early 1900s, journalist Mary Northend photographed many interiors. 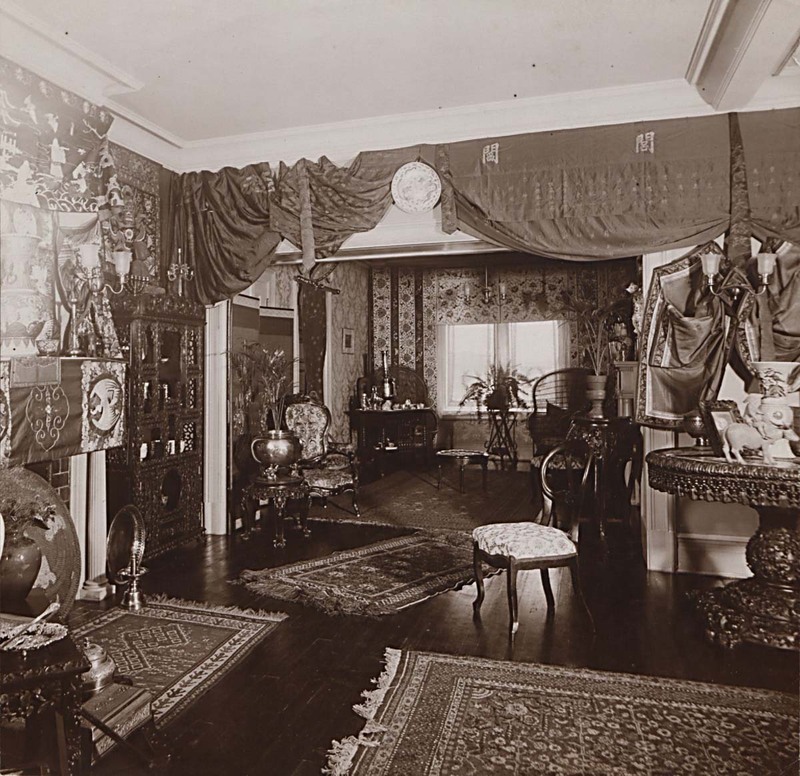 The Victorian-style room seen here is full of art treasures bought by Mrs. Chafee’s husband during his military service in China. 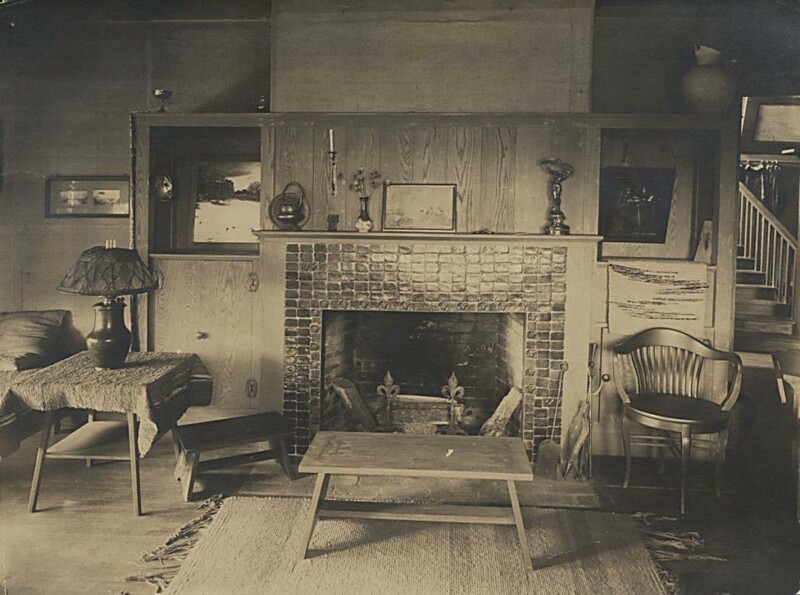 Photojournalist Jessie Tarbox Beals recorded the interiors of White Pines. This upstate New York home of Ralph and Jane Whitehead was the centerpiece of the arts and crafts colony they founded in 1901, called Byrdcliffe.